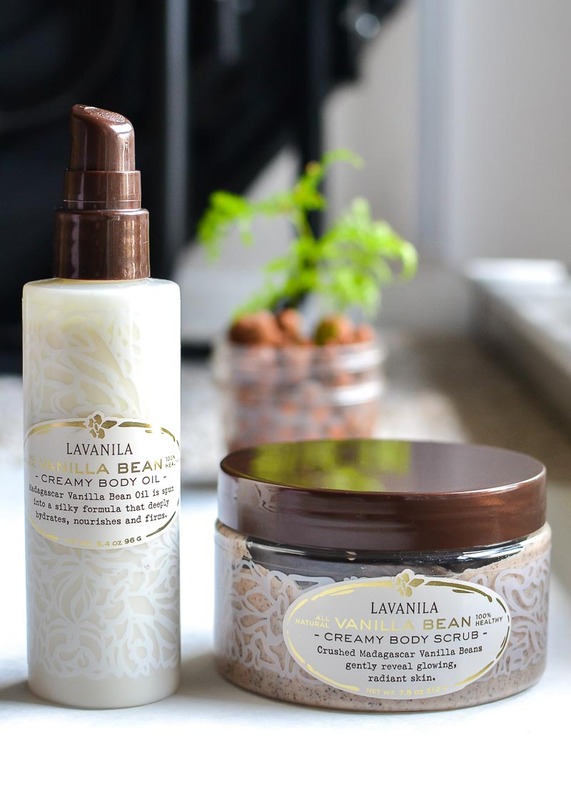 I have been trying out quite a few Lavanila products recently, and the ones I am reviewing today are from the Lavanila skincare range - Lavanila Vanilla Bean Creamy Body Scrub and Oil. 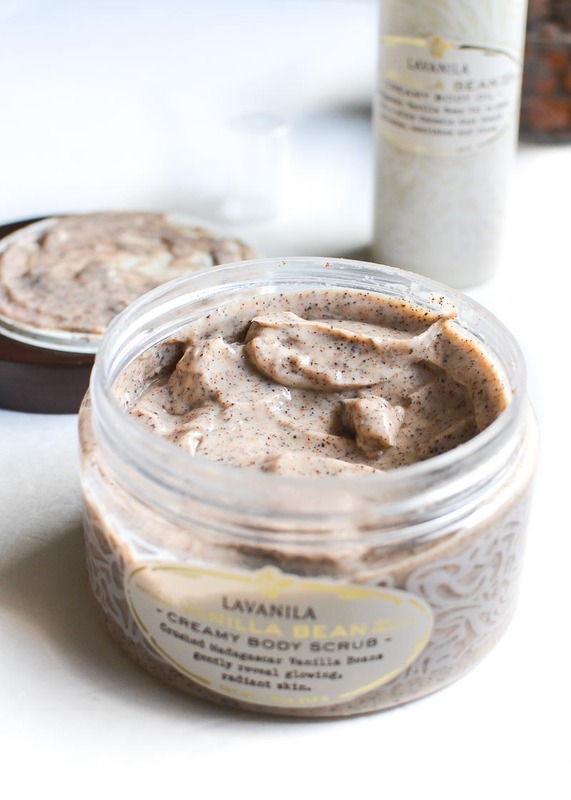 As with other Lavanila products, the star ingredients in these are vanilla with added benefits of skin softening and moisturizing ingredients like cocoa butter, sesame seed oil, and coconut oil. These sweet-smelling skincare goodies are filled with a long list of natural ingredients and essential oils - and just as important - are free of parabens, petrochemicals, phthalates, propylene glycol, mineral oils, silicone, synthetic dyes, synthetic fragrances, chemical sunscreens, sulfates or aluminum. Scroll on for more. 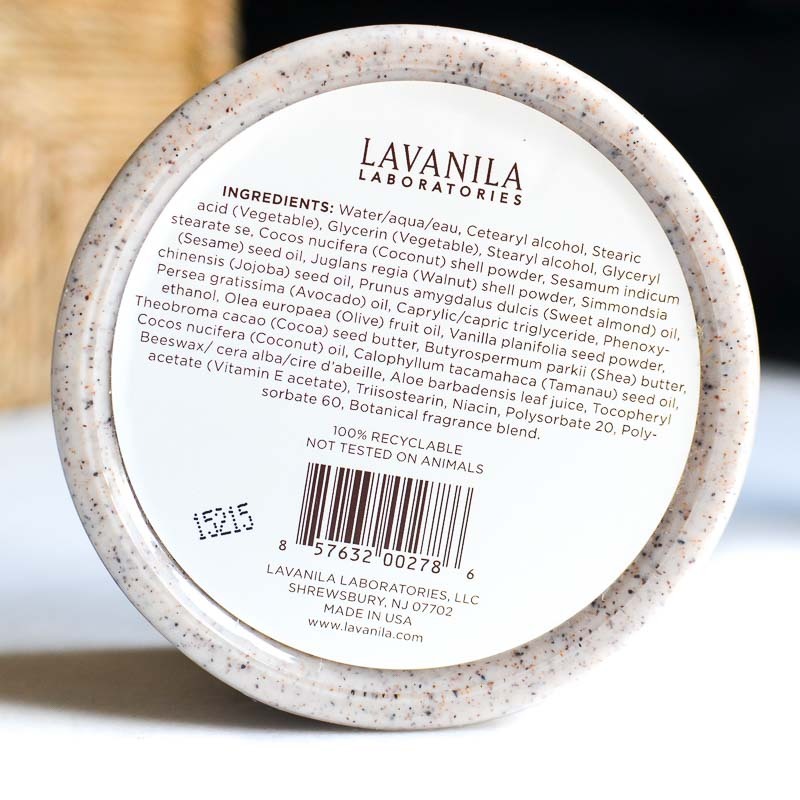 Among all the Lavanila products I have tried so far, the Lavanila Vanilla Bean Creamy Body scrub is my favorite (okay, the Vanilla-Lavender perfume might share the spot). 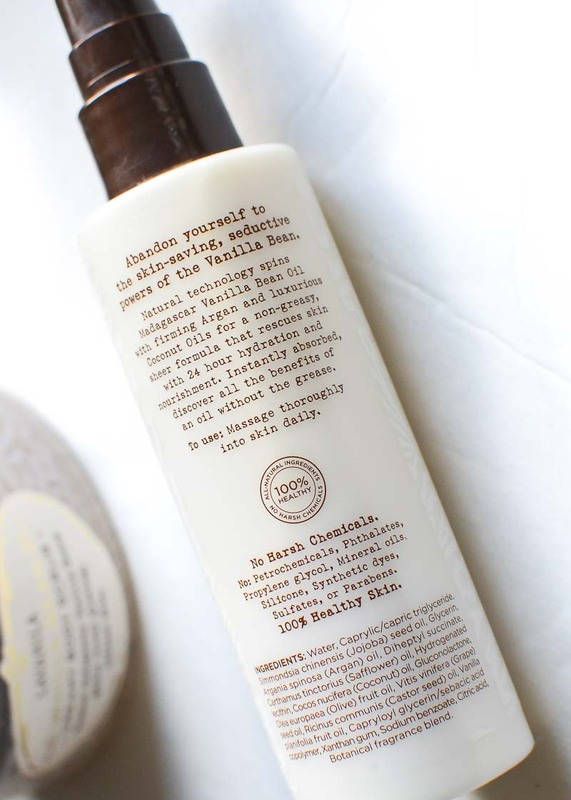 The scrub feels like a whipped creamy dessert and smells just as delicious. The scrubby bits in it are quite fine, and while they seem small and gentle, they do a fabulous job of leaving skin smooth and polished. To use, gently massage the scrub into wet skin and rinse off with warm water. The scrub leaves skin smooth and lightly moisturized without any greasy/oily residue, and I follow this up with a body lotion. 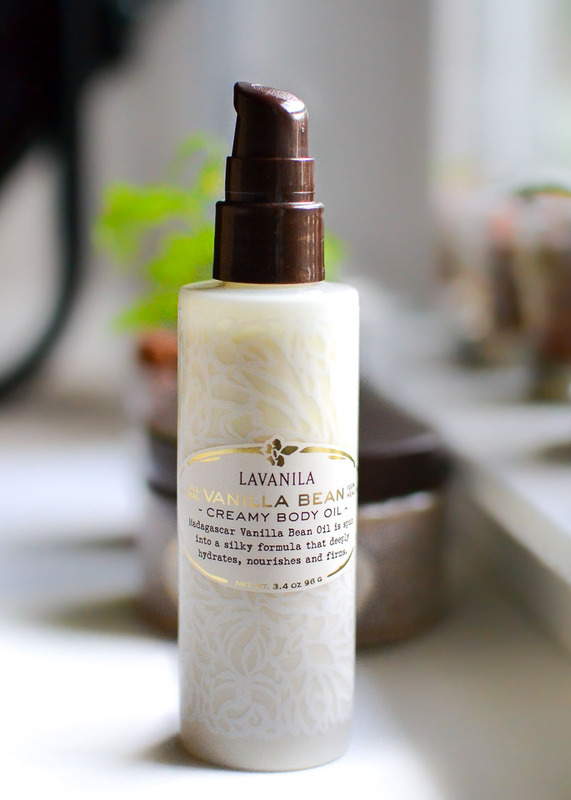 Lavanila Vanilla Bean Creamy Body Oil is described as a hydrating light-weight creamy oil, and it looks and feels more like a really light body lotion rather than an oil. It absorbs easily, leaves a slight sheen on the skin like a body oil, but without feeling greasy or heavy on the skin. 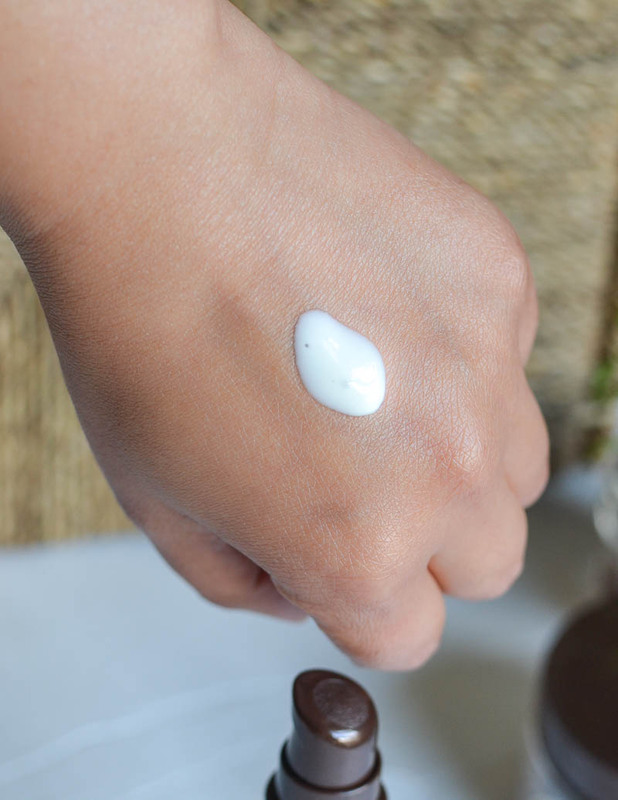 It has a strong vanilla scent, and personally, I prefer to use a smaller amount (only on my hands, for instance), sort of like a perfumed body lotion rather than as a regular all-over moisturizer. Lavanila Vanilla Bean Creamy Body Oil and Scrub are perfect for anyone who loves vanilla-based fragrances and products - pair the two for a luxurious, pampering at-home spa day! The scrub is obviously my favorite among the two, and it's my current favorite hand scrub. The Lavanila Vanilla Bean Creamy Body Oil is good for layering with other vanilla-based fragrances and/or to use as a light-weight body oil. *products featured in this post are PR samples.